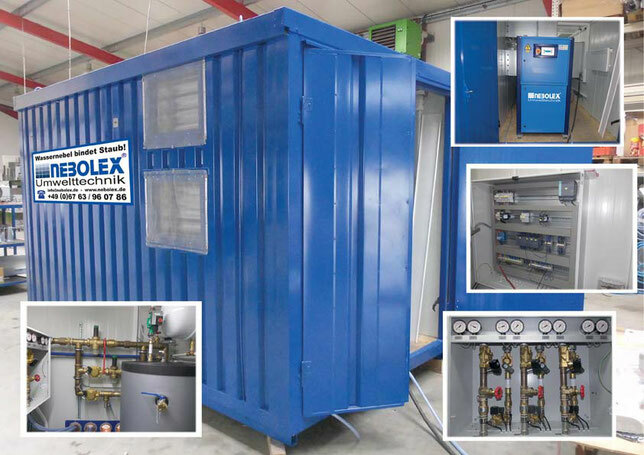 NEBOLEX environmental technologies also offers mobile supply units with a variety of different components. Measurements and weight of these units depend on the configuration needed. Transportation of the container to its destination site can be done quickly and cheaply by truck. Loading of the container is made easy by implementation of fork lift guidances in the container´s framework and attachment devices for cranes on its top. 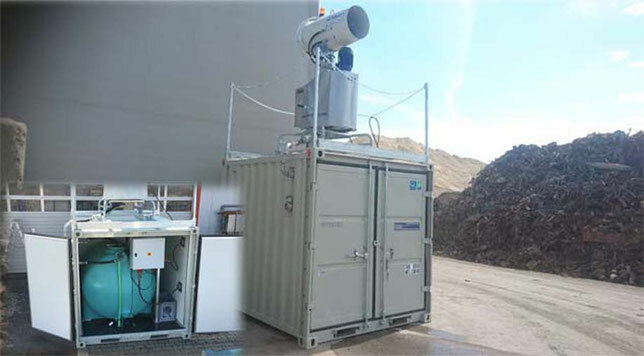 The machinery within the container is accessible through the lockable container doors, which in turn keep the components safe from weather, theft and vandalism. © Copyright 2014 – Alle Inhalte, insbesondere Texte, Fotografien und Grafiken sind urheberrechtlich geschützt. NEBOLEX Umwelttechnik GmbH.